A 2010 federal audit of the Michigan Department of Environmental Quality showed concerns with the state agency’s ability to monitor for clean water. 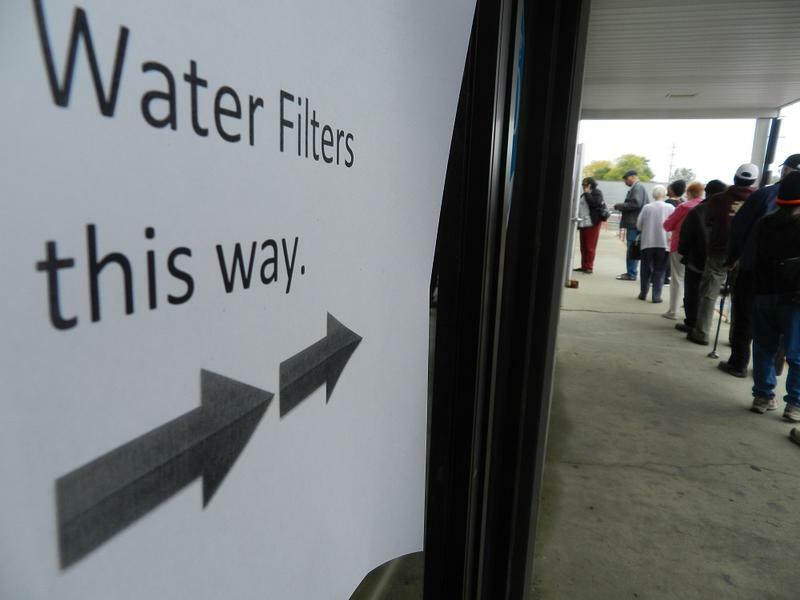 The audit, conducted by the U.S. Environmental Protection Agency, depicted struggles in the MDEQ due to budget cuts, staffing issues, and shortfalls in meeting federal standards for safe drinking water. “Resource limitations, including dramatic budget cuts, have had a significant impact on MDEQ’s (Public Water System Supervision) program,” the audit read. If the State of Michigan continues to cut funding for MDEQ’s drinking water program, MDEQ should consider cutting state-only activities that are not required by state law and that do not affect public health, and devote its limited resources to maintaining those activities required by federal regulation. The audit also showed shortcomings in the state's monitoring of lead levels in drinking water. The EPA requires drinking water agencies to sample a set of "worst-case" scenario homes -- homes known to be connected to water lines that contain lead. The regulation is set to ensure that 90% of these sampled homes have less than 15 parts-per-billion of lead in their drinking water. The audit found that MDEQ did not calculate these 90th percentiles for all water systems in the state. Bridge Magazine spoke with Yanna Lambrinidou, a medical ethnographer and adjunct assistant professor at Virginia Tech, who said these errors in the MDEQ also occur in other water supply regulatory agencies around the country. “These are programs that are understaffed, underfunded, and lacking knowledge and experience,” she told Bridge Magazine. Former EPA Region 5 Administrator Susan Hedman, who resigned on Feb. 1, said in November that the EPA will conduct another comprehensive review of MDEQ – similar to the one conducted in 2010. The 2010 audit is the most recent, in-depth report on the MDEQ’s work. Hedman said the EPA reviews each state’s drinking water program through an annual review process, but not to the extent the 2010 audit and current audit do. “This is much more in depth, and it’s something that we do not do frequently,” Hedman told Michigan Radio in November. Hedman arrived to her post in 2010 after the audit was conducted. In November 2014, then-MDEQ Director Dan Wyant, who resigned in late December, told Michigan Radio that the department’s budget had continued to shrink over the last 10 years. Though the audit doesn’t indicate that the specific errors from the MDEQ in 2010 led to the water crisis in Flint, it could show institutional dysfunction in an agency that was partially responsible for it. Lambrinidou expressed concern to Bridge Magazine about how, six years after this audit was released, there could be this crisis in Flint. The EPA is currently investigating the MDEQ’s “implementation of the Safe Drinking Water Act and related rules on lead and copper, total coliform, nitrates and groundwater,” according to a November statement. On Jan. 22, the EPA issued an emergency order in Flint so the agency could control water testing in the city. *This story was last updated at 5:20 p.m.
A new bill would require the U.S. Environmental Protection Agency to let the public know if their water contains dangerous levels of lead. Right now, that responsibility lies with state and local officials. The new bill would give the EPA authority to notify residents of high lead levels if the state fails to act. Michigan Senators Gary Peters and Debbie Stabenow and Congressman Dan Kildee announced the new legislation Wednesday. Peters said the bill would help ensure situations like the Flint water crisis don't happen again.